Have you recently been arrested for drunk driving? 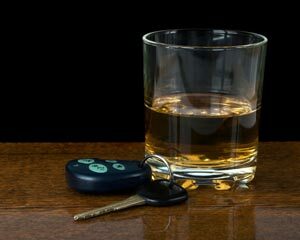 Depending on your unique situation, you may be able to restore your license by working with a top Grand Rapids dui attorney, Jerry Beurkens, who has over 30 years of experience and knowledge in defending clients for drunk driving and dui cases in Grand Rapids MI. Level 1: Your first offense could result in a license sanction (such as a six-month suspension) and up to 90 days in jail. Level 2: A second offense is when you accrue two drunk driving charges within a seven-year period. The second offense could result in a one-year jail sentence and an indefinite loss of your driver's license. Level 3: If you have received three drunk driving charges within a ten-year period, you have committed your third offense. (These charges can include out-of-state offenses as well.) The third offense is considered a felony offense, and could result in a one to five years in jail and the permanent loss of your license. 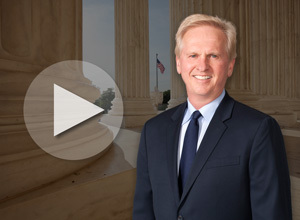 When charged with a DUI or Drunk Driving related offense in Michigan, time is vital! You need an experienced, tough, aggressive Grand Rapids drunk driving attorney! Call and talk to us to receive your free initial phone consultation at (616) 459-5344. Drink and drive, and the results can be deadly. Several hundred people die every year in Michigan from alcohol-related crashes. The courts, law enforcement, state and local governments, as well as a number of private agencies, are working together to reduce and prevent the thousands of injuries and deaths that result from drunk driving in Michigan. While intoxicated or impaired by, alcohol, illegal drugs, and certain prescribed medications. With a bodily alcohol content of 0.08 or more (driving while intoxicated). With any presence of a Schedule 1 drug or cocaine. To drive with a bodily alcohol content of 0.02 or greater, or have any presence of alcohol other than that consumed at a generally recognized religious ceremony. To buy, possess, or consume alcoholic beverages. You may transport alcohol in a vehicle only when accompanied by an adult age 21 or older. If you are caught with alcohol in your vehicle and there is no adult accompanying you, you can be charged with a misdemeanor, whether you are on the road or in a parking lot. Require courts to decide drunken driving cases within 77 days after an arrest. Require a mandatory six-month driver license suspension even for a first conviction. A driver may be eligible for a restricted license after serving 30 days of the suspension. Require five days to one year of consecutive jail time and/or 30 to 90 days of community service for a second conviction of drunk driving. Include a felony for three convictions in a lifetime. Include a felony for a conviction for drunk driving that causes death. Include a felony for a conviction for drunk driving that causes a serious injury to another. Require fines for a conviction of driving while a driver license is suspended or revoked of up to $500 for a first offense, and $1,000 for an additional offense. Do not allow hardship appeals for habitual alcohol offenders. Require a reinstatement fee of $125 if your driver license was suspended, revoked, or restricted. Require a Driver Responsibility Fee of $1,000 for two consecutive years for driving while intoxicated and a $500 fee for two consecutive years for driving while impaired, with any presence of a Schedule 1 drug or cocaine, zero tolerance, or child endangerment. Information provided by the State of Michigan. See more Michigan Laws here.